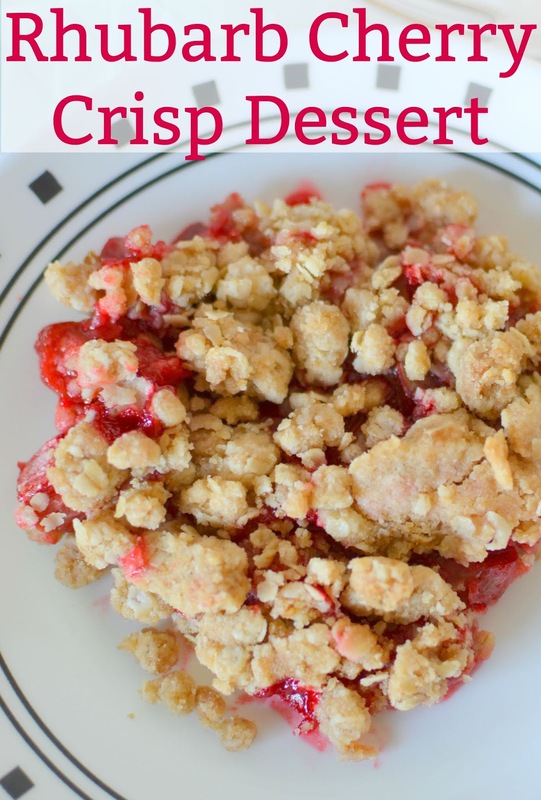 This springtime dessert is so delightful with it's sweet and tart flavors! Use strawberry or raspberry Jello for a new flavor every time! After being on vacation for five days, I was welcomed home by rhubarb plants that were ready to be picked! Not like I needed to come home and make a dessert after eating amazing food in Chattanooga, Birmingham, Montgomery and Atlanta all week, but I've been waiting for this moment FOREVER! Winter lasted extra long this year and the rhubarb got a much later start than usual. My trip with the ladies was quite amazing and I will be sharing all of my travels with you in an upcoming blog post! There are SO many pictures to edit and we did so much in such a short amount of time! It was such an epic vacation! 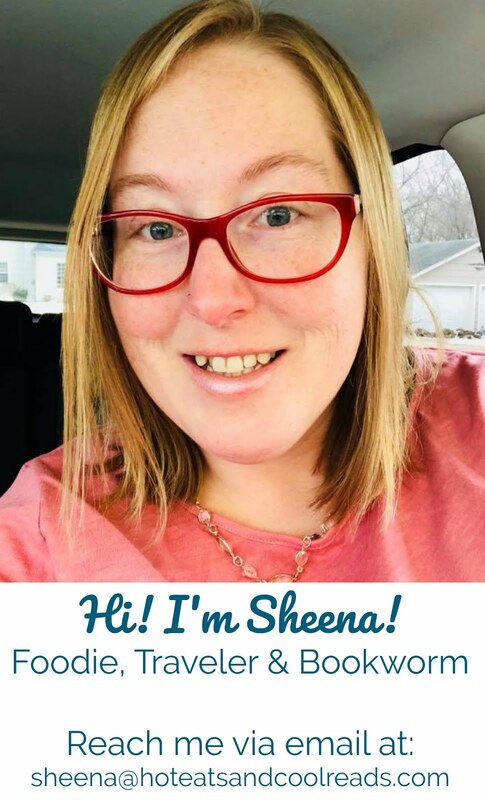 I grew up eating rhubarb as a child, and still love it as much today as I did then! 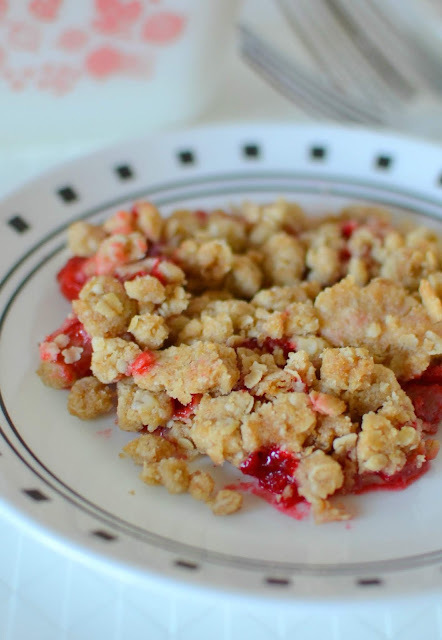 I have fond memories of picking rhubarb at my house or my grandparents, sprinkling it with sugar and eating it raw. My mom also made the best rhubarb cake that my siblings and I looked forward to every spring. Today's recipe is very easy to make and has such a great sweet and tart flavor combo going on. I chose to use cherry jello, but strawberry or raspberry would also taste wonderful! 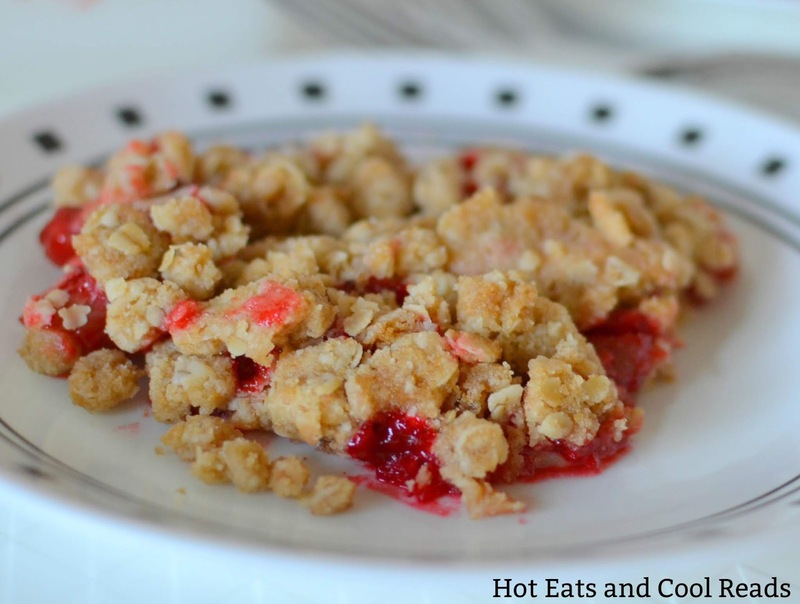 The sweetness and crunch from the oatmeal topping pairs perfectly with the tartness from the rhubarb. 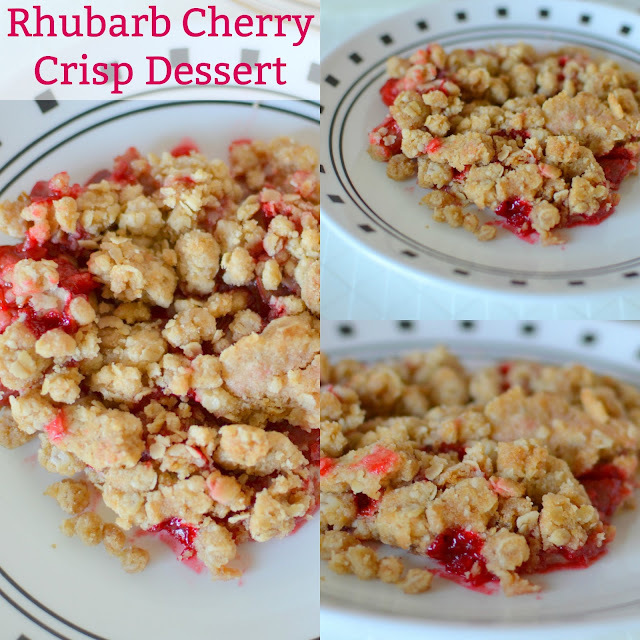 If you want more tart rhubarb, add another cup to the recipe! This recipe does have quite a bit of topping compared to the rhubarb after baking, so you could also cut the crunch topping in half if you prefer less. Place the rhubarb in a 9x13 baking dish. Stir in the sugar and jello until rhubarb is coated. In a bowl, mix together the flour, soda, salt, oatmeal, brown sugar and butter until combined. Sprinkle mixture over the rhubarb. Bake for 30 minutes, until bubbly and browned. Serve with whipped cream or ice cream on top.